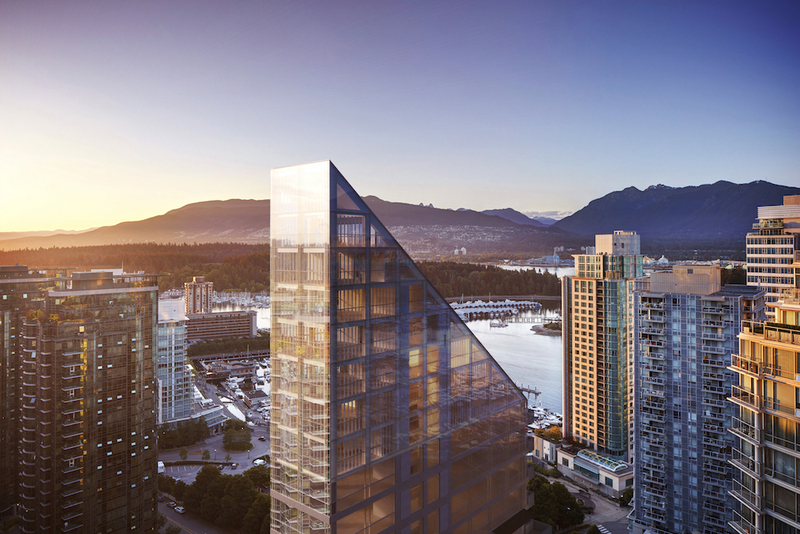 Renowned Tokyo-based architect Shigeru Ban has joined forces with Vancouver-based developers PortLiving to design a hybrid timber tower filled with luxury condos in the Coal Harbor district of Vancouver. The scheme will take up one of the last plots still available an area already home to many high-end apartments. Ban, who won the Pritzker Prize in 2014, is known for his humanitarian architecture work as well as his use of sustainable materials and construction methods. The development in Vancouver will be known as the Terrace House and the building is due to follow in the footsteps of the architect’s previous work. While this project will be Ban’s tallest residential project and his first in Canada, the Terrace House will—according to press release from PortLiving—also be the world’s tallest hybrid timber structure when complete. However, its exact height and dates for the project have yet been released. “Shigeru Ban Architects welcomes this chance to design our first building in Canada. It is an opportunity to embrace the natural beauty of the surroundings and to capture inspiring views,” said Dean Maltz, Partner at Shigeru Ban Architects USA. Further details of the project are due to be released later in the year. Stay tuned.